Hyldemor består af Hans Vinding (vo., g, mm. ), Helle Vibeke Riiskjær Steffensen (vo, vi, g, mm. ), Jens Hansen (g, p), Tommy Pedersen (b), Steen Claesson (vi, fl, g) og Jens Breum (dm). Raised by his grandparents in Reading, MA, Simon Stokes was seen by his peers as a loner or solitary child. By the age of ten he had become a sleepwalker. His grandfather would often take Stokes to see the Harry D. Stokes Orchestra, which was his introduction to music. In his teenage years, Stokes became influenced by the blues, often listening to a local DJ named Sid Symphony and attending all-night concerts. Stokes saw Big Mama Thornton and Hank Ballard among countless others, each having an impact on him. After entering a local songwriting contest and winning the top prize, Stokes ventured to Los Angeles in his early 20s. Beginning in 1965, Stokes recorded a number of 45s under names such as the Flower Children and Heathen Angels. At the same time, Stokes became a staff writer at Elektra Records. Forming a band called the Nighthawks, Stokes and MC5 signed to Elektra on the same day. How do you describe an artist that is part jazz, part rockabilly, part blues, and part country? You call it Eilen Jewell and move on. Here’s the video for “Rip” from Ringo Deathstarr’s forthcoming record ‘Mauve.’ Watch the band doff psychotropic 3D glasses and experience a sugar high of epic proportions. All soundtracked by fuzzy guitars and cooing vocals respectively crunchier and sweeter than your favorite childhood cereal. An Americana act from the tweedy university town of Cambridge, England, might sound like a bad idea from the start, but then the Southern gothic missionaries the Band were four-fifths Canadian, so clearly Americana is as much a state of mind as it is a geographic necessity. The Broken Family Band formed in Cambridge in 2001 with the initial intention of being one of those bands that’s more of a collective than anything else, with members drifting in and out according to need and whim, but although friends and invited guests regularly contribute to the group’s live shows and albums, the core of the band quickly stabilized as singer and guitarist Steven Adams, lead guitarist Jay Williams, bassist Gavin Johnson, and drummer Mick Roman. Hailing from Manchester alt-country Americana band Blind Atlas‘ debut album Kodiak Bear is full of foot-stomping delta-riffs and prog rock crescendos. There is a dim light from a low hanging moon, glimpsed through the whispering branches of ghostly trees. There is a swirling heat that engulfs you and there is music. A sticky swarming delta stomp that drags you through the night and gets your feet tapping. 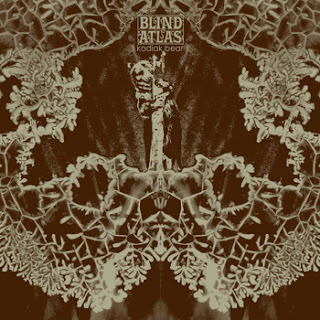 This, then, is the feeling the debut from Manchester-based Americana band Blind Atlas elicit. 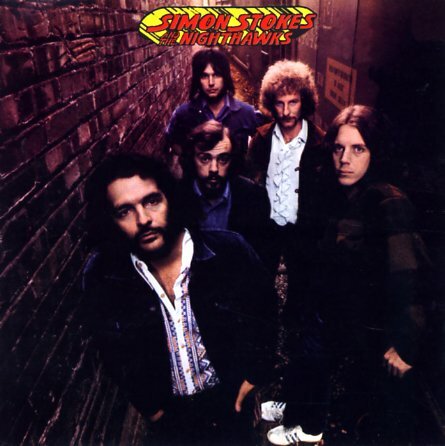 A perfect evocation of steamy nights in the deep south, effortlessly throwing Led Zep-style riffs and languid prog rock cascades into the mix.